Fentanyl: Definition, History, Effects, Overdose and More - Safecare Biotech (Hangzhou) Co., Ltd.
Fentanyl is a synthetic opiate analgesic. It is similar to morphine but significantly more potent. It is typically prescribed to cancer patients and those suffering from chronic or breakthrough pain. Breakthrough pain is when a person is taking an opiate pain medication but has temporary pain that breaks through the opiate barrier. Fentanyl was first synthesized in Belgium by Paul Janssen under the label of his relatively newly formed Janssen Pharmaceutica in 1959. It was developed by screening chemicals similar to pethidine(meperidine) for opioid activity. The widespread use of fentanyl triggered the production of fentanyl citrate (the salt formed by combining fentanyl and citric acid in a 1:1 stoichiometric ratio). Fentanyl citrate entered medical use as a general anaesthetic in 1968, manufactured by McNeil Laboratories under the trade name Sublimaze. Less common side effects of fentanyl are confusion, anxiety, tingling, depression and hallucinations. Other potential side effects particularly associated with the fentanyl patch are urinary problems, fluid retention and a slow heart rate. The fentanyl patch can also cause skin irritation as well as itching wherever the patch is applied to the skin. Anyone who is taking fentanyl – particularly if they are abusing it or taking it in much higher dosages that usual – will seem euphoric as they first start to take fentanyl. Then they will seem drowsy, confused and depressed as the high feeling wears off. Slurred speech, drowsiness and a sense of confusion are all common with fentanyl use. Weakness as well as coordination and walking problems are often experienced by those who are using fentanyl. Fainting, slowed breathing and pinpoint pupils may be signs of fentanyl use. Other possible symptoms of fentanyl use include appetite loss, dry mouth, hallucinations as well as sleep problems. Like any addiction to a drug, dependence on fentanyl is dangerous. It can cause short-term and long-term health problems, lead to mental health issues, cause complications in several areas of one’s life, and lead to an overdose that may be fatal. As compared with other drugs, fentanyl abuse can be particularly dangerous. It is more potent than other opioids and is often combined with other drugs. These two factors increase the potential for a fatal overdose. Fentanyl addiction is also dangerous because of the side effects and long-term complications it can cause, from infectious diseases and organ damage to mental illness, social isolation, and financial and legal problems. Fortunately, fentanyl addiction treatment is available, and although this is a very difficult addiction to overcome, it is possible with dedication to professional and comprehensive treatment. get tetanus — a disease caused by infection through the places on your body where you inject. All opioid drugs can cause an overdose that may be fatal. These drugs are central nervous system depressants. They cause activity in the brain and spinal cord to slow down, which leads to reduced heart rate, blood pressure, and respiration. Dangerous amounts of opioids can cause respiration to slow to a degree that a person stops breathing. If not reversed immediately, this is fatal. The risk of an overdose with fentanyl is higher than with other opioids because of its elevated potency. Overdose triggered by fentanyl is a medical emergency and will lead to death if not treated immediately. Anyone who suspects that someone is overdosing should call for emergency help. First responders carry naloxone, an opioid antagonist that if administered in time can reverse the effect of an opioid like fentanyl and reverse the overdose. 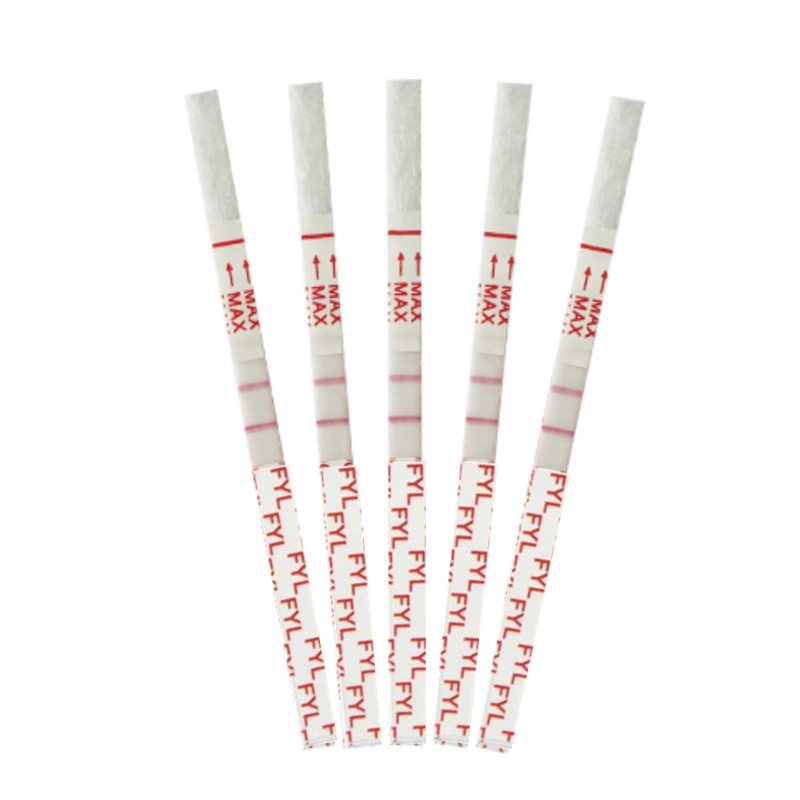 The fentanyl test strips were originally designed for doctors, who used them to test the urine of patients to make sure they were taking prescription fentanyl, which is used as a pain medication, and not selling it. But as illegal fentanyl poured into North America in concentrations that varied widely from dealer to dealer, harm-reduction groups began offering them in 2016 to test for fentanyl in heroin and other drugs. Users dip the strips into a mixture of drugs and water, usually — but not always — before they inject. Test must be in room temperature 15°C-30°C. Remove the test from its sealed pouch, or remove one strip from the canister, and use it as soon as possible. For best results, the assay should be performed within one hour. Canisters should be closed tightly after removing strips. After the test has finished running, remove the strip from the specimen and place it on a non-absorbent flat surface. Start the timer and wait for the colored band(s) to appear. The result should be read at 5 minutes. Do not interpret the result after 8 minutes.